IMAGINE....white, sugar-soft sands...warm waters perfect for swimming...splend sunset views over the Gulf of Mexico...dolphin, seashells, bird life, and game fish...fascinating restaurants and shops just minutes away...Our Florida getaway. Indian Shores is a unique, relaxing gulf coast community located 20 miles west of Tampa in the middle of an island with Clearwater to the north and St.Pete Beach to the south. Busch Gardens in Tampa is 45 minutes, and Orlando Theme Parks (Disney World, Sea World, Universal Studios) are 90 minutes away. Enjoy a good night's rest in our king size bed. Enjoy your view from our 18 foot balcony on the fourth floor. The living room looks out towards our eighteen foot balcony. In the evening you can listen to your favorite music or watch a DVD on our 50 inch HDTV. Connect your laptop or tablet to our free WIFI. Our second bedroom is equipped with two beds, TV, and ceiling fan. 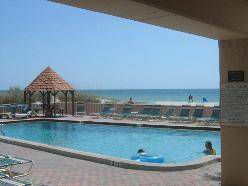 Enjoy your day in the heated pool overlooking the beach. 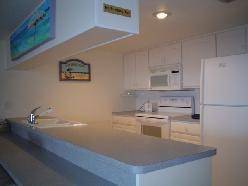 Prepare a meal in our fully stocked kitchen. I bet you won't publish this review! My family and I stayed at this condo-listing #8508 --over the 2009 Christmas holiday and we were lied to by Jennifer Boyd and we will not stay at this condo again nor rent a condo from this person. The listing stated a washer/dryer in unit and when I asked specifically about the washer and dryer she still did not specify that there was not one in the unit. The listing also stated a television is each room but there was not one in the master bedroom. Free internet access was listed in the advertisement but once we got there, we had to purchase internet service in order to use our computer. If I had not been lied to, I would not have wasted my hard earned money on this condo. When I contacted Ms. Boyd she informed me that it was the advertising firms problem not hers. I totally disagree. We have stayed here twice,we will return, very helpful crew, units are excellent with GREAT oceanviews,and the rates are very conpetable!! Cancellations and Refunds: Reservations cancelled more than 30 days prior to arrivcal shall receive 50% of deposit returned. Reservations cancelled within 30 days of arrival forfeit any and all monies paid.